Do you live in a crowded urban environment and wish you had room to grow plants? Maybe you own a building and have thought about growing plants, vegetables or herbs on your roof. If you have a flat roof, why not turn it into a beautiful flat roof garden? Here are some of the pros and cons of a flat roof garden, along with a few basic considerations. Privacy is one of the main benefits of a roof garden, which is also known as a green roof. Consider that when you have a garden on your roof, you’re the only one who can access your roof. You don’t have to worry about meddlesome neighbors or garden pests, such as squirrels and rabbits, that can destroy your plants. Roof gardens provide additional sunlight. Because most roofs are covered in sunlight, your vegetation receives more sun and can grow faster. 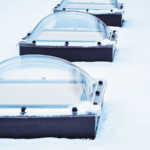 Improved thermal performance is an important advantage. Having a roof garden can help in reducing a roof’s temperature in summer because the plants absorb energy from the sun. Roof gardens can also improve thermal efficiency in winter as they’re able to lock heat inside a building. Better air quality is why some people have flat a roof garden. Your plants can filter noxious gases and capture airborne toxins, which improves the quality of air. Keep in mind that a green roof has the potential of reducing the amount of CO2 that’s released into the atmosphere. Furthermore, rooftop gardens are effective in reducing noise. They particularly do an outstanding job in decreasing low-frequency sounds. Even though you don’t need to water your plants are much as you would a regular garden, you’ll still need to invest more time in upkeep, such as waterproofing your roof. Leakage can occur from screws, nails, and garden tools that can penetrate the covering. Repairing a leak can be expensive and can entail removing part of your garden or all of it. Usually, insurance premiums for homes and buildings with roof gardens are higher than those for standard structures. You’re limited in the kinds of vegetation that you can grow on a roof. Some plants are more suited for rooftops than others are. Do you live in an area that experiences drought-like conditions? If so, there are many types of succulents and cacti that require only minimal irrigation, making them excellent for roofs. Certain sun-loving flowers, such as daisies, marigolds and zinnias are good choices. If you have a shady terrace that faces north, include ferns and other plants that prefer shade, such as impatiens, balsams and English ivies. The best herbs to grow on a roof are lavender, rosemary, thyme and others that need less water. Parsley, chive, basil and cilantro can grow on roofs, but they require moderate watering and sunlight. Some vegetables, such as peppers, eggplant and okras, can also be grown on a roof. On the other hand, they need more care in order to thrive. Basic maintenance tasks may include pruning and fertilizing. A roof garden can increase property value. 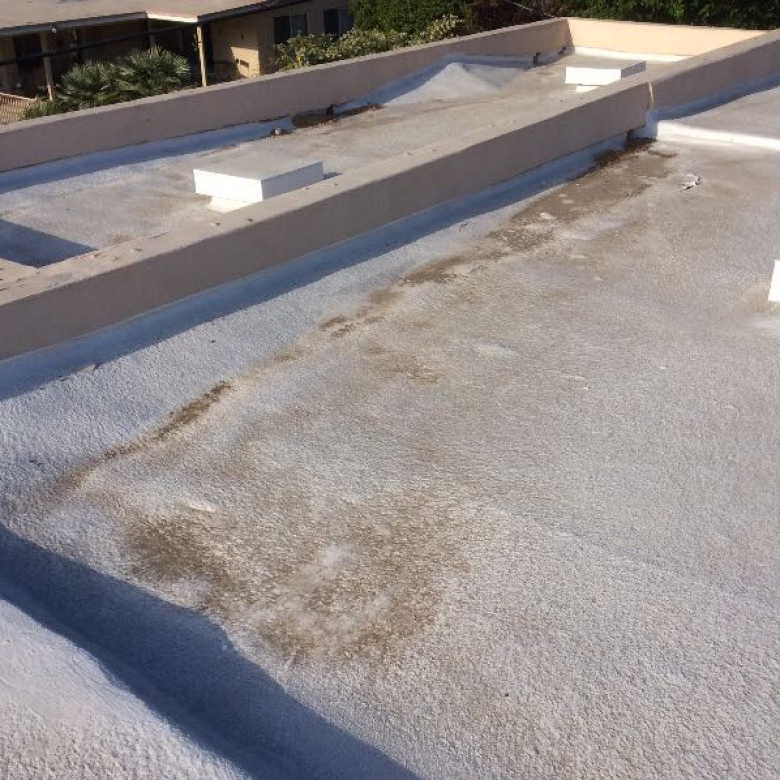 Having a green roof can make your roofing membrane more durable. Roof gardens must have a proper drainage system so that water doesn’t seep into a home or building through tiny crevices and cracks. Consider the weight of the materials that are used on your roof garden. You need to be sure that your roof is able to safely handle the weight of a garden. Climate can be a major factor in determining if you should have a green garden. For example, if you live in an area that’s prone to high winds, a roof garden may not be a good idea. This is because a considerable number of seedlings and plants can blow away in windy weather. 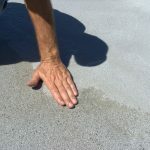 If you have a flat roof, you probably already know about the problem of ponding, which is water that accumulates on a roof from rainfall after 48 hours or longer. 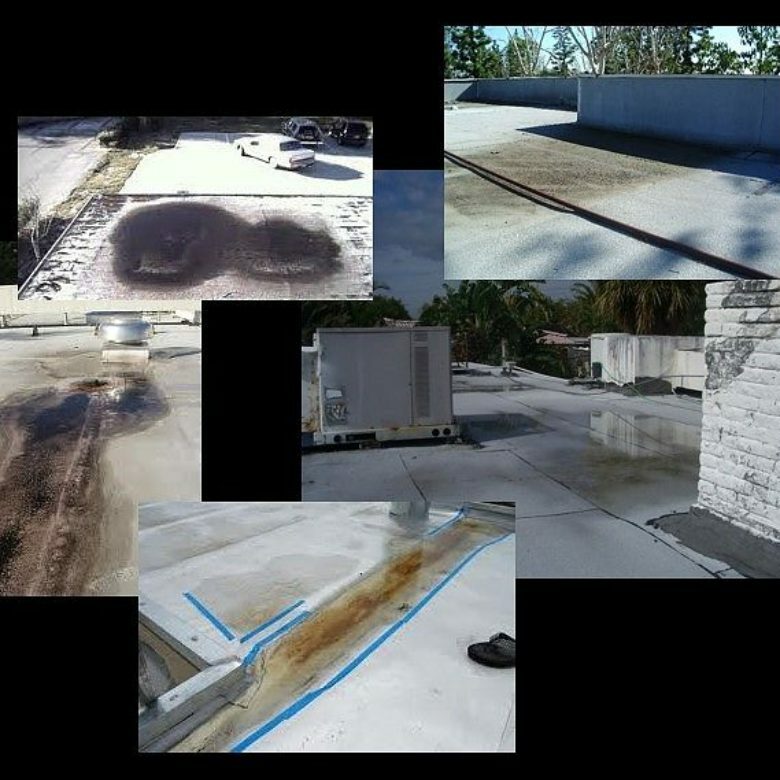 Please call RoofSlope and learn more about our exceptional product that’s designed to provide a simple, quick way for filling in low areas on flat roofs, which helps in proper drainage. Please contact us.